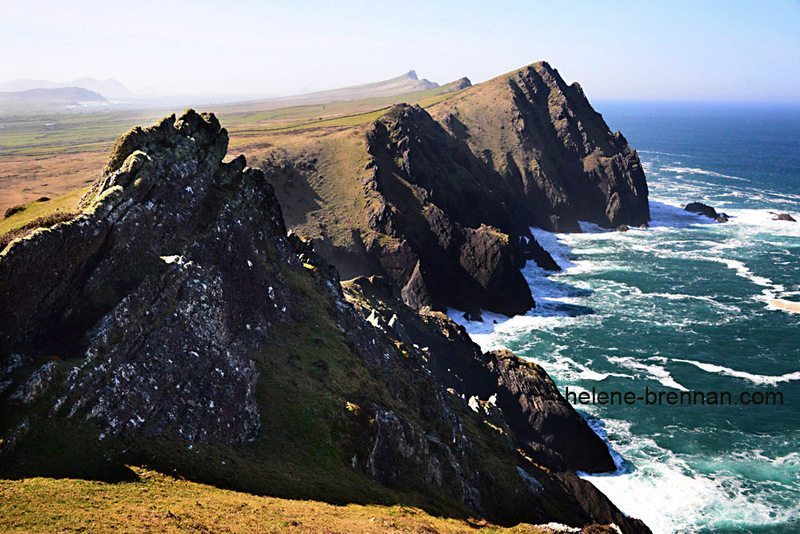 Coastal view from Binn Diarmada, the tallest of the Three Sisters, the dramatic cliffs seen mainly as three bumpy hills from inland. Unframed. Shipped. Framing available if picture collected. Please enquire.